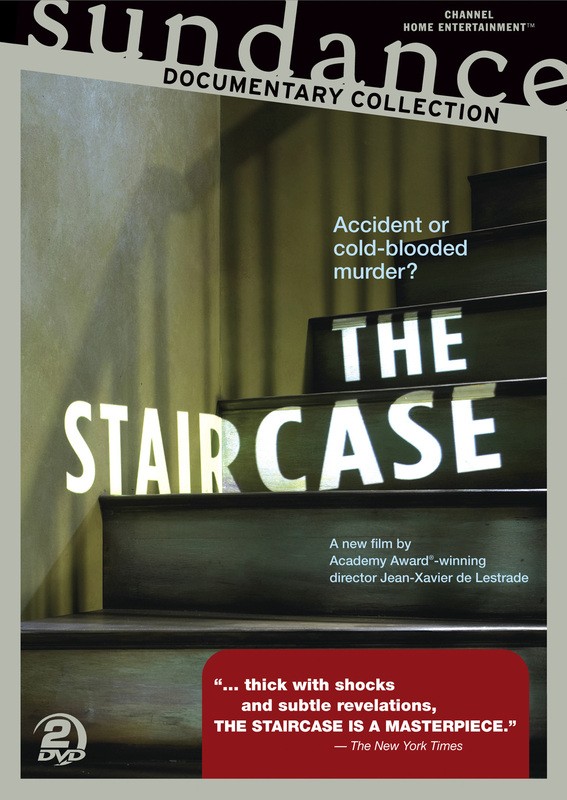 Directed by Academy Award®-winning filmmaker Jean-Xavier de Lestrade (Murder on a Sunday Morning), THE STAIRCASE is like the most suspenseful of page-turners, adding “layers of complexity until one is entirely hooked by its ambiguities and twists and turns.” (Chicago Tribune) One of the most highly acclaimed documentaries in recent years, this shocking, real-life thriller follows the high-profile murder trial of North Carolina author Michael Peterson, who was arraigned in 2001 for the murder of his wife after her body is discovered lying in a pool of blood on the stairway of the couple’s upscale Durham home. 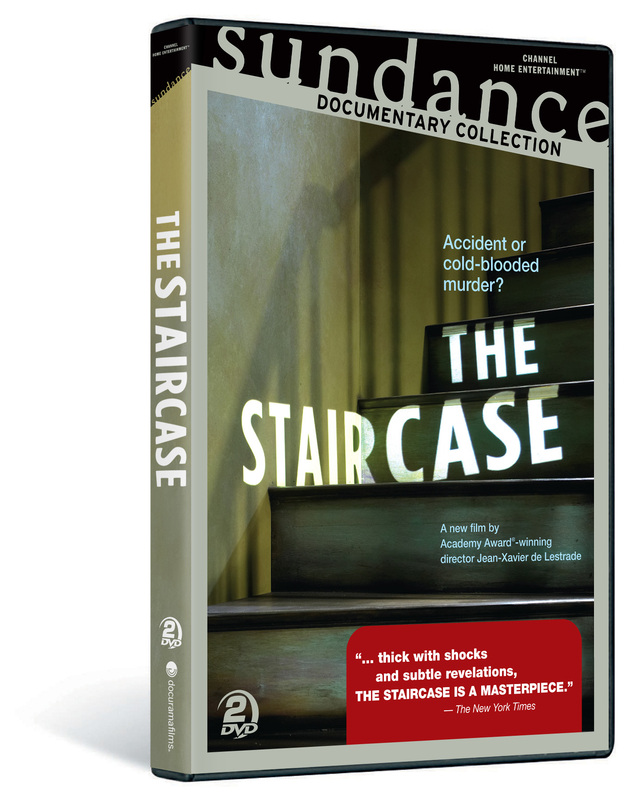 Did Kathleen Peterson fall down the stairs, or was it cold-blooded murder? 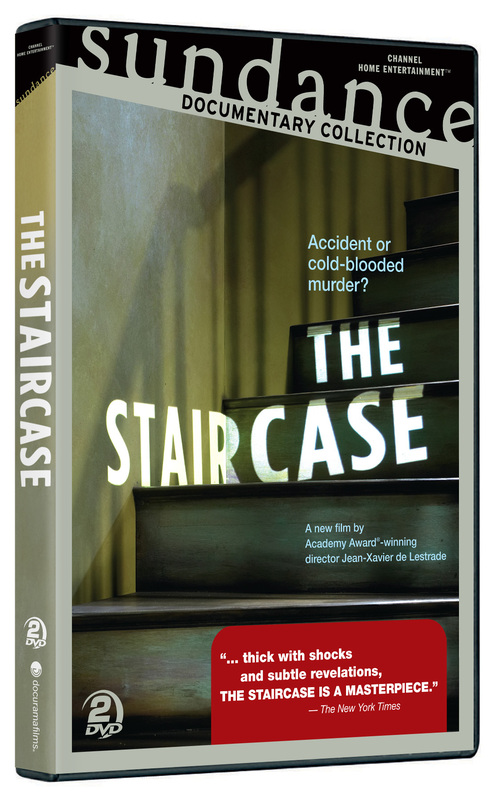 As the mystery unravels, de Lestrade’s cameras are granted unusual access to Peterson’s lawyers, home, and immediate family, resulting in a gripping, inside look at a case so shocking, it is sure to leave you gasping for breath. This special two-disc set includes all 8 original episodes in their entirety, as well as never-before-seen scenes, a fully illustrated booklet and episode guide, and an extended interview with the filmmakers. ©2005 Sundance Channel, L.L.C. All Rights Reserved. Sundance Channel Home Entertainment is a trademark of Sundance Enterprises, Inc. ©2004 Maha Productions. Packaging Art and Design ©2005 New Video Group, Inc. All Rights Reserved. Marketed and distributed in the U.S. by New Video.